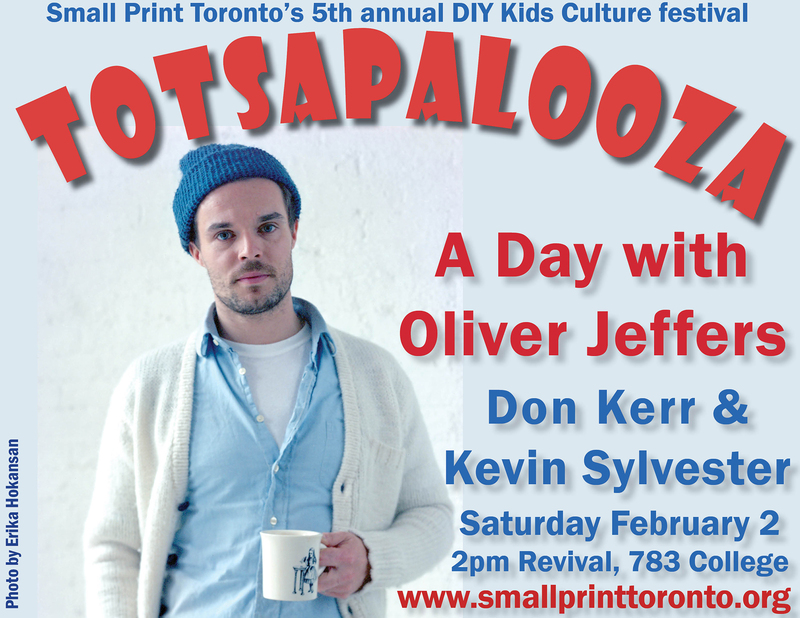 A crowd of over 500 people attended our 5th annual Totsapalooza festival, featuring an exclusive Toronto appearance by world-renowned artist-author Oliver Jeffers and original tunes by Don Kerr, hosted by author-CBC Radio personality Kevin Sylvester. The most popular craft turned out to be creating a flying penguin, in honour of Jeffers’s acclaimed book Up And Down. For a video of the event by Jenn Catanazaro, just click here.